Gutter Sentry offers a unique design that provides unmatched strength, protection against leaves, crushing and twisting. The complete box design has the right design to move things in the right direction. 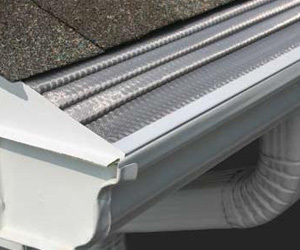 Gutter sentry delivers performance with great looks at a fraction of the cost. The perforation system in the Gutter Sentry provides high performance drainage. There are 20 perforations in every inch and each measures 1/8th inch in size. This allows for high water drainage in every season. Conventionally, it is 4 times higher than a normal leaf gutter. Clogged eavestrough cause more damage to your home compared to no eavestrough. Install Gutter Sentry Today to prevent a host of water problems. Our Gutter Sentry protects your home’s exterior from damage in snowy weather. Ice is not accumulated and the eavestrough remains in working condition even in extreme weather. When eavestrough are clogged, the damage to landscaping nearby can be severe. Gutter Sentry prevents any serious damage to the flowerbeds by avoiding water buildup. When water collects in eavestrough, it can invite diseases such as Nile Virus from mosquitoes. The Gutter Sentry delivers the right protection from diseases due to proper water drainage. When water acumulates in the eavestrough, the fascia and the soffit can rot. This can lead to rotting in the fascia board as well. Avoid spread of rot by installing Gutter Sentry. Cold weather can block the sideways and driveways with snow and ice. Overflowing eavestrough can lead to build up of ice which pose danger to your family. Avoid this with Gutter Sentry. Leaking eavestrough can cause water to percolate in to the foundations. This can cause them to weaken and flood the basement. Gutter Sentry provides the right answer to this problem. Gutter Sentry offers 4X more perforations in every square inch to deliver the best performance in water drainage. 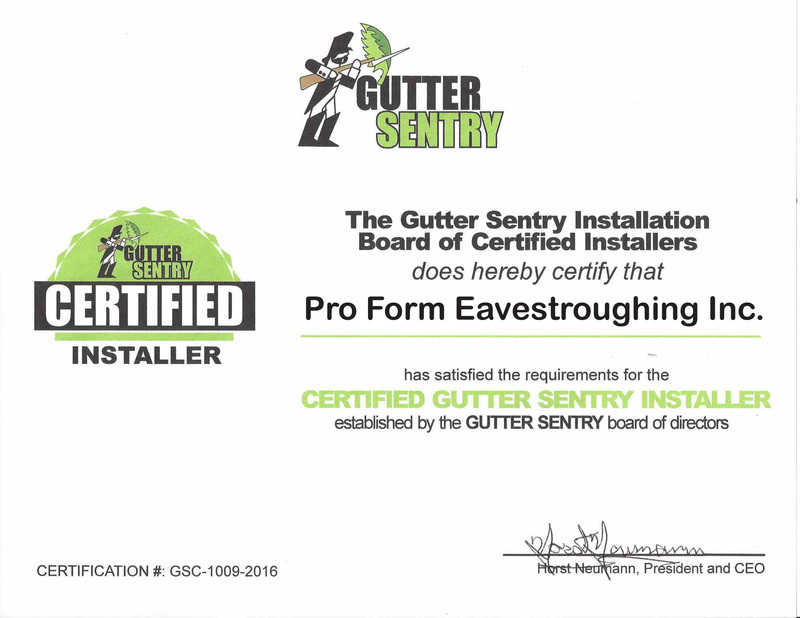 Turbo charge your eavestrough drainage with Gutter Sentry. Call Today for more Information.